The New Nissan Qashqai blends the qualities of both a traditional hatchback and off-road with no compromises made on style or toughness. The 'no non-sense' and dynamic exterior look has raised wheel arches and roof rails. Inside the Nissan Qashqai, remote steering wheel controls allow you to switch between audio and on-board systems with ease. The Qashqai's high driving position also allows a superior level of visibility. Braking power is maximised by ESP, EBD and ABS technology. 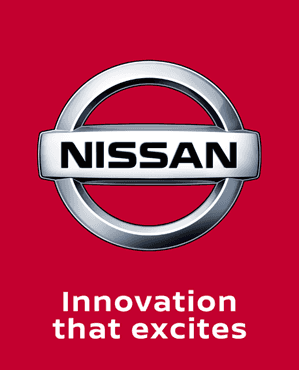 For more information or to test drive a brand new Nissan Qashqai, please contact us today using one of the contact buttons above and a member of our dedicated sales team will contact you as soon as possible. Personal Contract Purchase (PCP) offer for Retail customers only. Not for Business Users. Representative APR available on new Nissan Qashqai, when registered and proposed for finance through RCI Financial Services Limited in conjunction with Nissan Finance UK, P.O. Box 495, Watford, WD17 1F. As the credit broker we may receive commission from the lender for referring you. This promotion cannot be used together with other manufacturers promotions and is subject to availability. Prices shown are for new vehicles registered and delivered while stocks last. All details are correct at time of publication and are subject to change without notice. Offer may be varied, withdrawn or extended at any time. Charles Hurst Limited and Charles Hurst Motors Limited are the advertisers and will act as introducing brokers on behalf of the lender. Finance provided by RCI Financial Services Limited, P.O. Box 149, Watford, WD17 1FJ. Guarantees and indemnities may be required. You must be at least 18 and a UK resident (excludes Isle of Man and Channel Islands) to apply. Subject to status, terms and conditions apply. All Figures are for illustration purposes only.